Tomato, avocado, red onion and cilantro lightly coated with fresh lime juice and olive oil. This quick an easy salad makes the perfect healthy side dish. 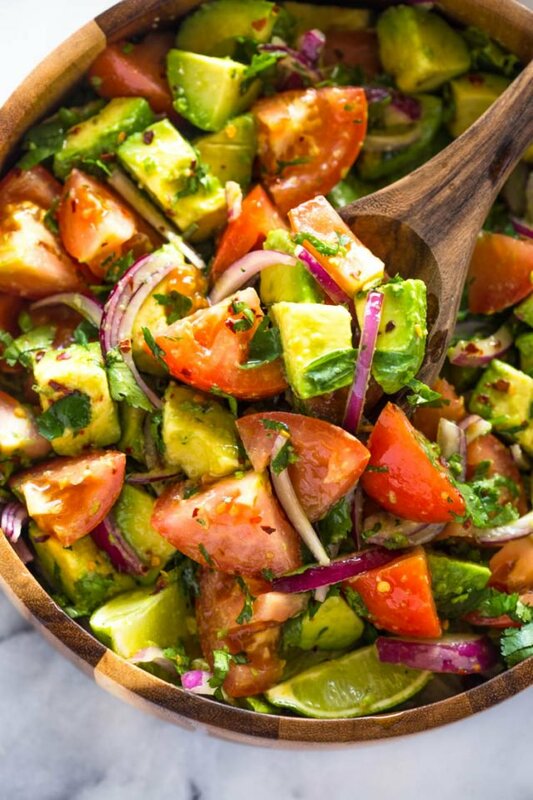 In a large salad bowl, place the tomatoes, avocado, and cilantro. Drizzle with olive oil, lime juice, pepper flakes and salt & pepper to taste. Gently toss. Serve immediately or cover with plastic wrap in fridge for up to 2 hours.